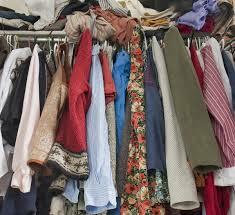 Service of Closets: Why Do They Fill Up So Fast No Matter What? I’ve lived in big and small homes and apartments with many or few closets. 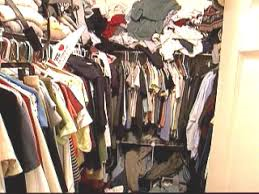 The main closet in one apartment was so narrow that if we closed the door, one shoulder of each jacket wrinkled. Somehow, if blessed with lots of space, it doesn’t take me much to fill it. In the last few years I’ve moved a lot and tossed out bags and bags—the 30 lb size—of belongings. Yet my closets, desk and bureau drawers and file cabinets still look–and are–full. 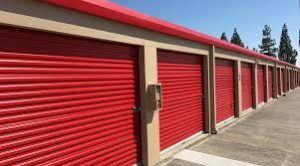 With the exception of using the storage service of a local dry cleaner, a necessity at the end of each season for some given small city apartments, I don’t believe in renting a storage unit for belongings with one exception: If you or a family member is moving to a larger place in a short period of time. Whether you clean out the files at the office or scour your closets and bureau drawers to toss beloved items—don’t think just do–it’s never enough and makes little visual difference. Have you also found this to be true?